And the "ooopsie" of the day is that I didn't take the wall width of the covered car loading area into account when laying out the spur to the warehouse. 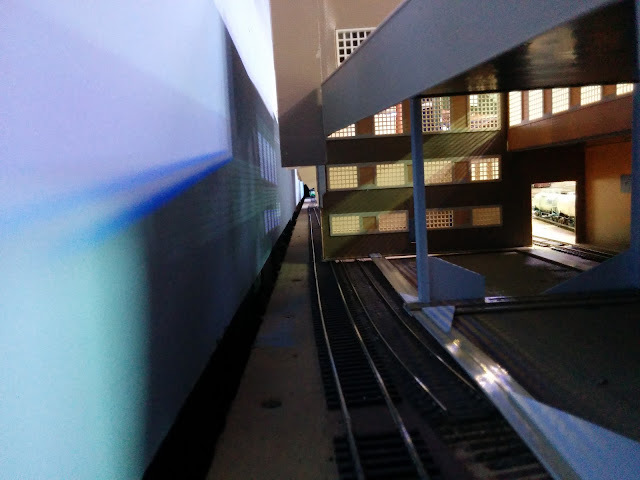 Clearance between the run-around track and the warehouse wall is just a little bit too tight. While even the longest cars fit, they fit just barely and every operator will be scared for their switch men in that location. You can see how tight it is with the bulk head car on the right in the photo of the north wall above. 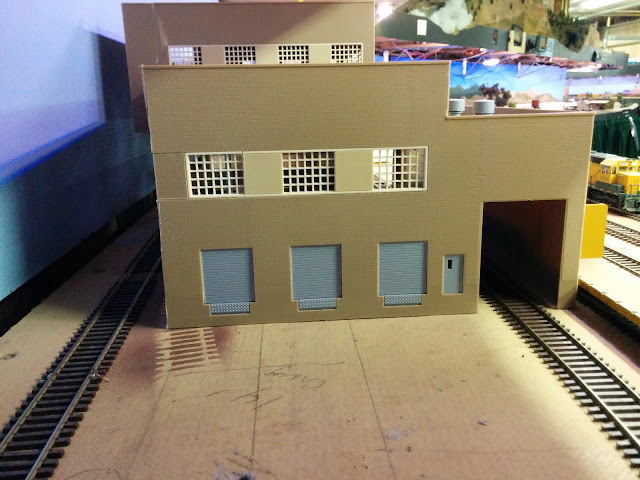 Thankfully, I have enough space to move the loading spur and the warehouse building a quarter inch to the back, which will alleviate this super-tight situation. The part of the spur outside the covered loading area will be served by a loading door in the middle of the wall section facing the track. 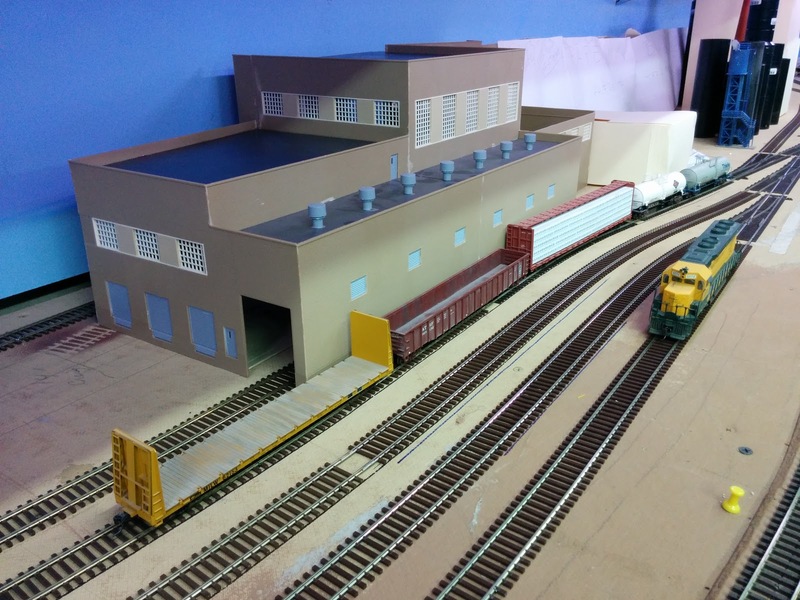 I intend to treat this as a dedicated car spot, so that crews will have to put a specific car to this door ("box car CN&W 46529 to Finished Paper Warehouse, Door #6"). 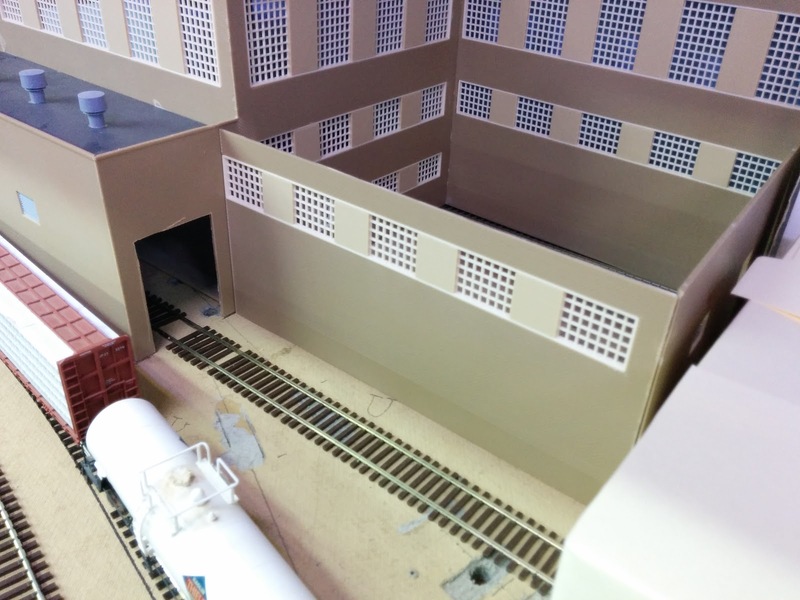 That wall is about 70 scale feet long, so there is enough space to position any modern center door box car. 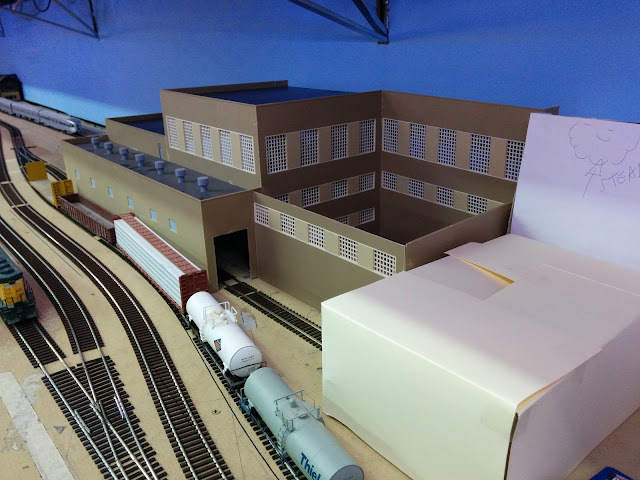 While standing in front of the layout and contemplating building arrangements, it became crystal-clear where the offices from Walther's "Magic Pan Bakeries" kit would go, and what to do with the open space between said offices, the paper machine building, and the chemical unloading facility.